Through the generous support of the women of the LWML – Gulf States, Lutherans in Ethiopia (and Ethiopian immigrants here in the United States) now have a new book to deepen and bolster their faith: The Hammer of God, a book of Christian fiction that follows three pastors who learn the necessity of relying on God’s grace. 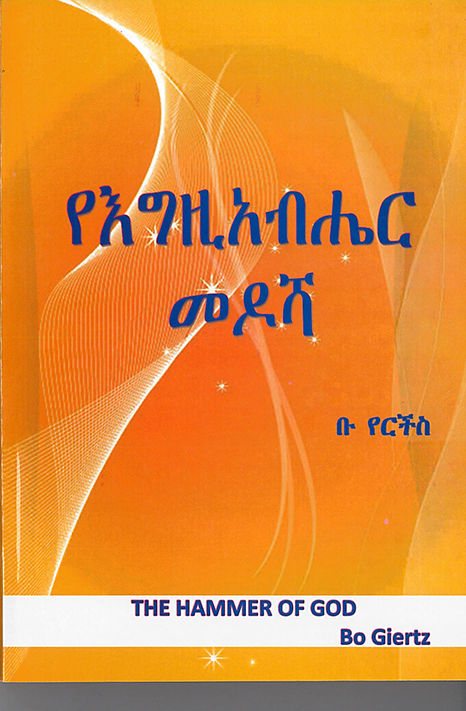 The Hammer of God was translated into the Amharic language by the Lutheran Heritage Foundation (LHF), a recognized service organization of the LCMS dedicated to publishing Lutheran books in the languages of people around the world. “This book was translated at the request of Lutheran seminary professors in Ethiopia, who wanted to teach their students how to be better pastors of their people,” said Dereje Tilahun, who oversaw the project. “The book has been very well received in Ethiopia, because Bo Giertz (the author) wrote this book in 1941 when Communism was starting to gain ground in Europe and Russia. The LCMS has strengthened its relationship with the Ethiopian Evangelical Church Mekane Yesus (EECMY) in recent years. One of the most basic resources the EECMY needs assistance with is Lutheran education at all levels: for children, families and pastors. At their 2014 convention, the Gulf State LWML voted to lend their assistance in pastoral education by giving a $3,000 grant to LHF to provide books like The Hammer of God. Several Lutheran pastors’ conferences will be held in Ethiopia in the coming months, where 1,000 copies of the books will be distributed.